The lightvessel Tongue LV1 held our local warning fog signal, and sat on my childhood seascape horizon until 1985, like many other lightships and lighthouses, digital positioning technologies effected its decommissioning and now the fog horn is a rare sound, lost from our coastlines and environment. 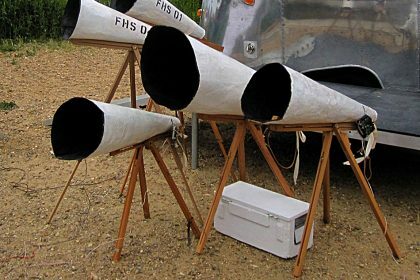 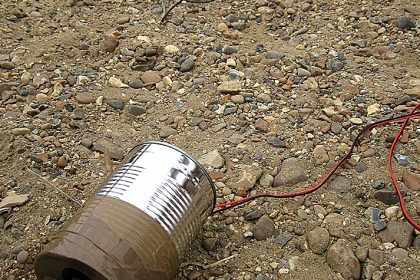 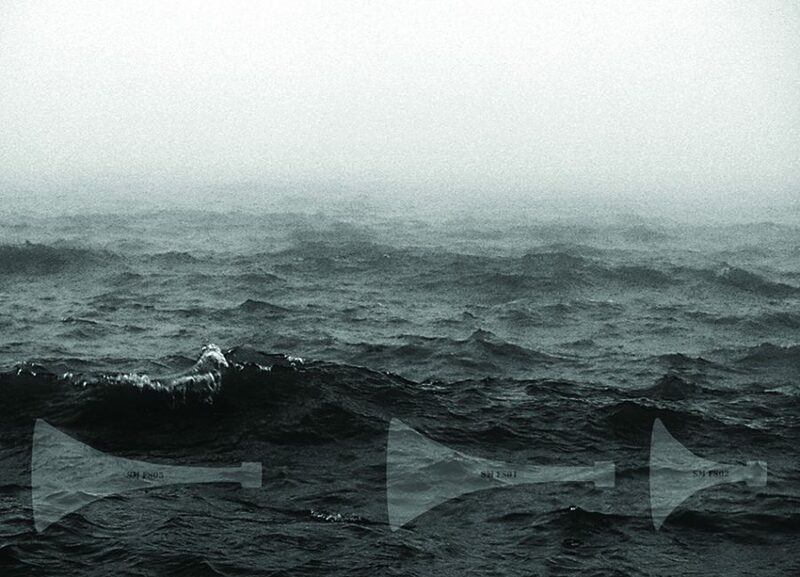 As a child Foghorns were a seasonal event that signalled the warning of the impending condition. 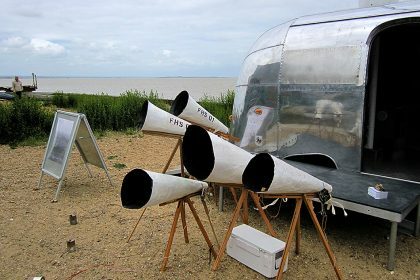 The hollow yawn of these machines was imprinted in my memory, and bought with them a sense that someone was watching and guarding over would be travellers, and those of us left on the land. 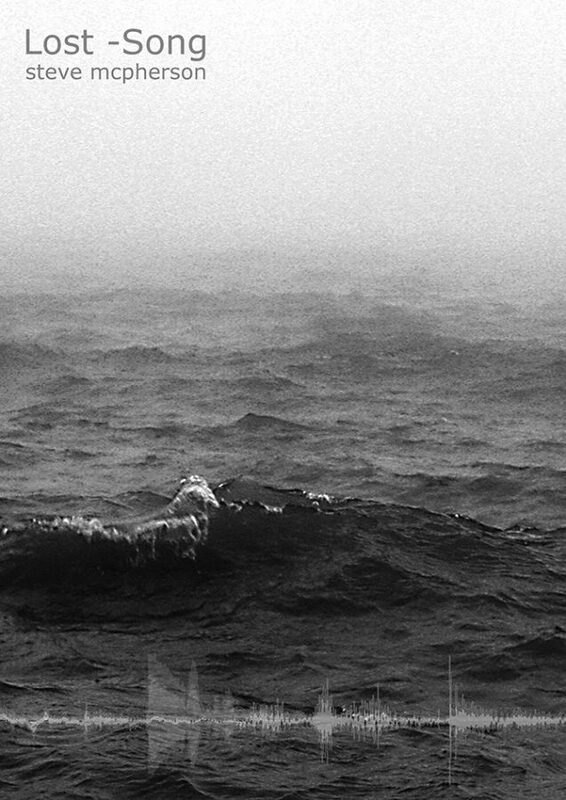 Their mournful cry echoed along the coast, bouncing off our chalk cliffs, piercing the impenetrable fog and hazardous thick sea mists that curtained the land and turned days into eerie twilights. 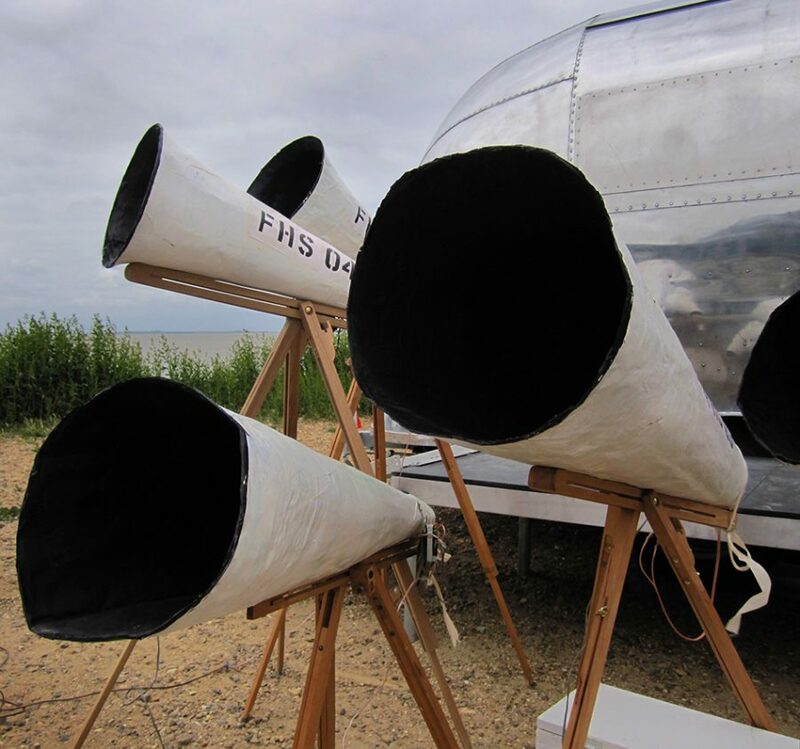 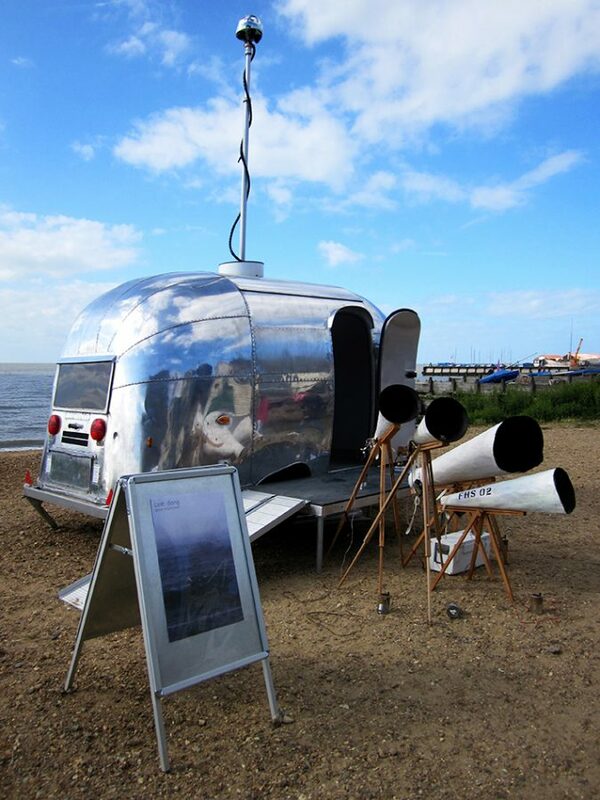 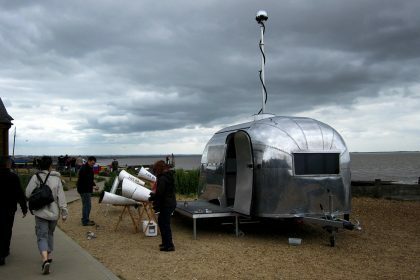 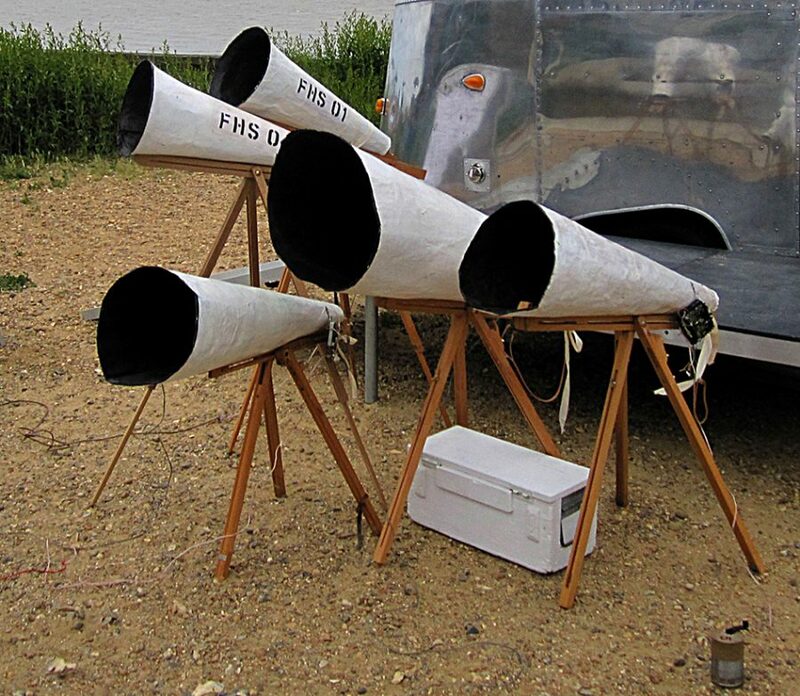 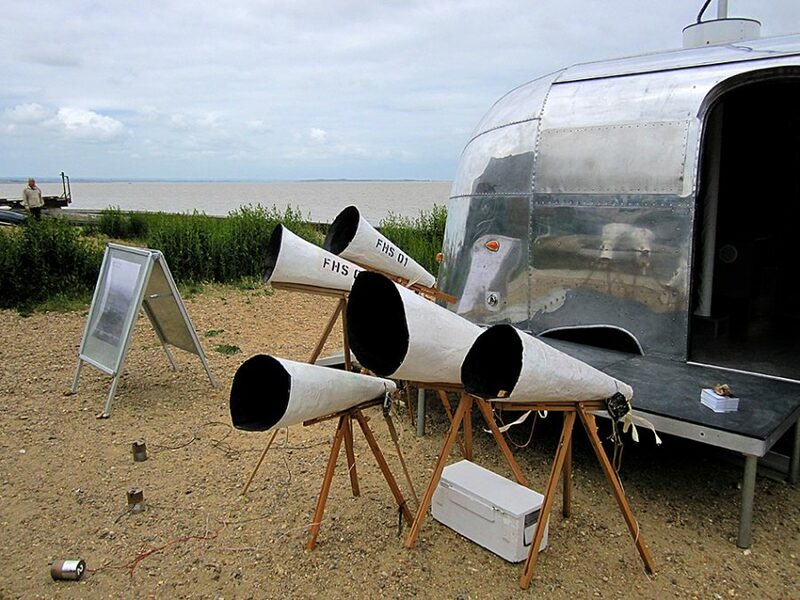 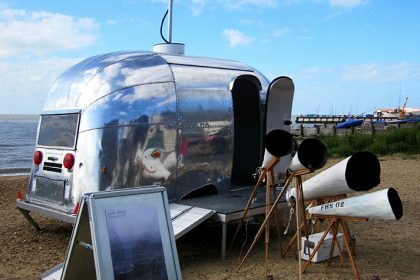 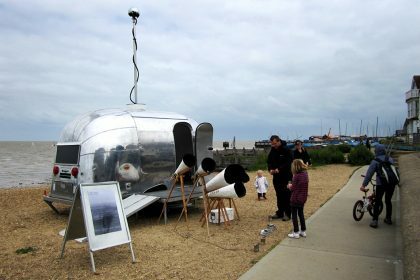 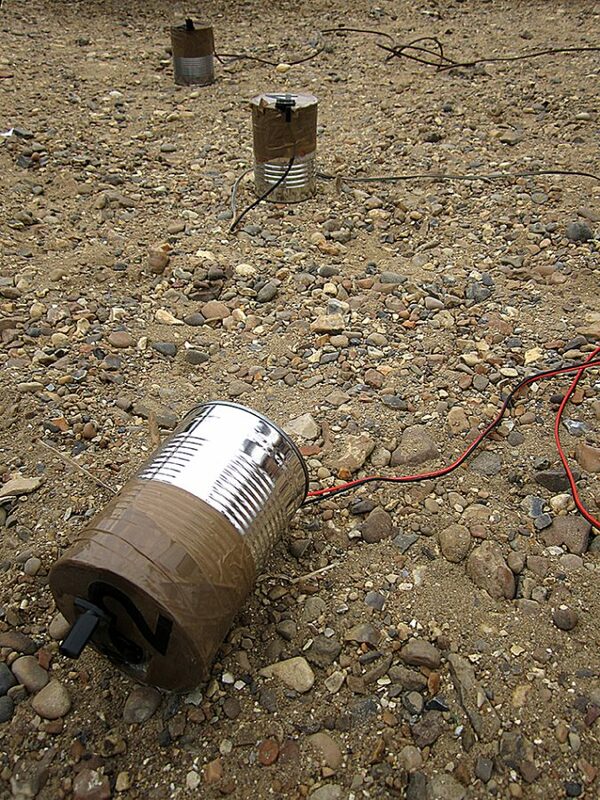 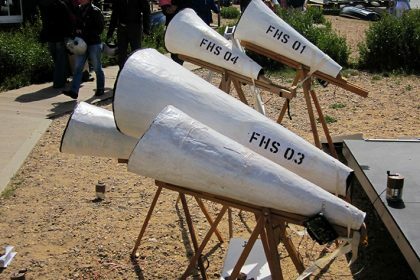 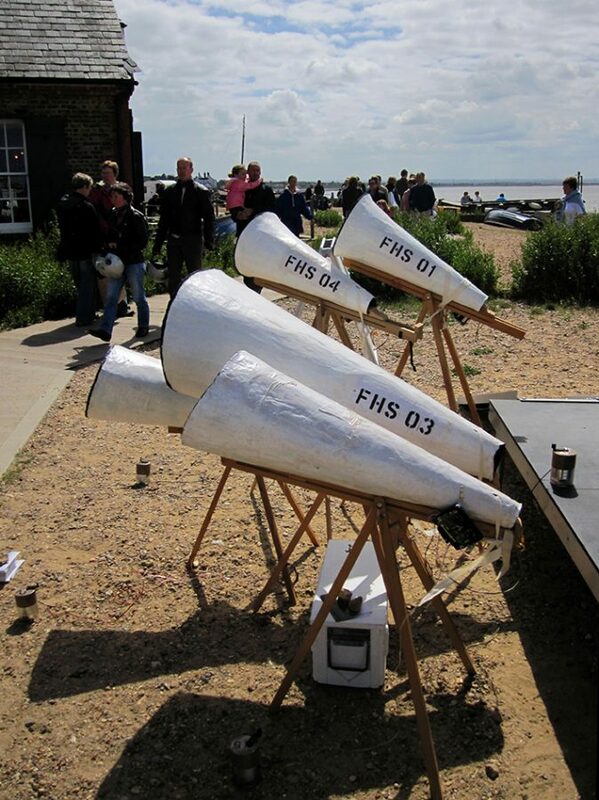 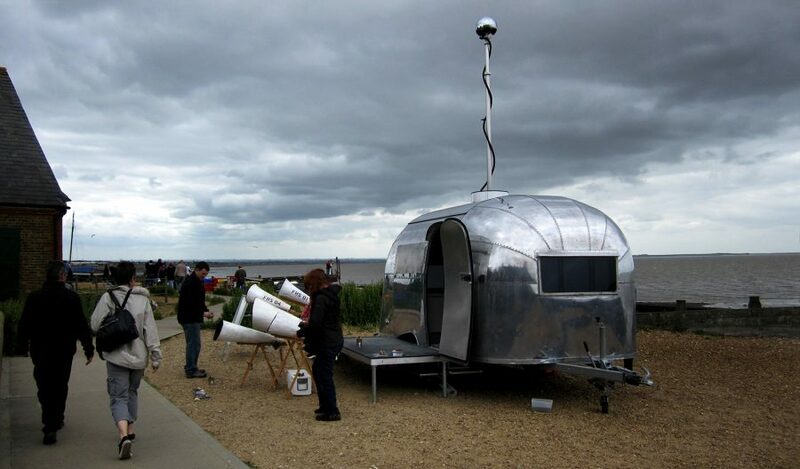 The one day intervention for the Kent Cultural Baton at the 2010 Whitstable Biennale, saw a small group of low tech foghorn tripod units play the voices of marine foghorns. 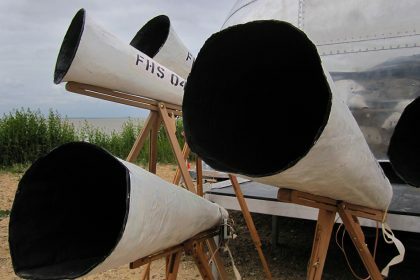 With technology and materials recycled, second hand, found and recovered where possible, their trumpets raised and stood silent until members of the public participated in turning the cranks to power the song. 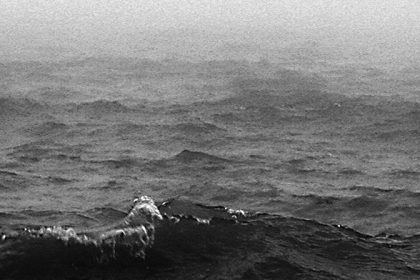 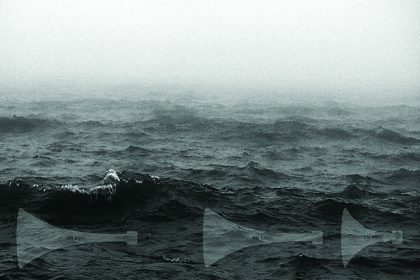 On the turning, cassette tapes played a conversation of sorts of fog horn warnings, a song for the return of their lost positions by the sea.